Louise’s passion was Heisey. She was always at the Museum, attended all Heisey events, and tirelessly worked to recruit new members, add to the collection, and expand the Museum. She was instrumental in “saving” the King house from demolition, and paving the way for HCA to purchase and move it to its current location. 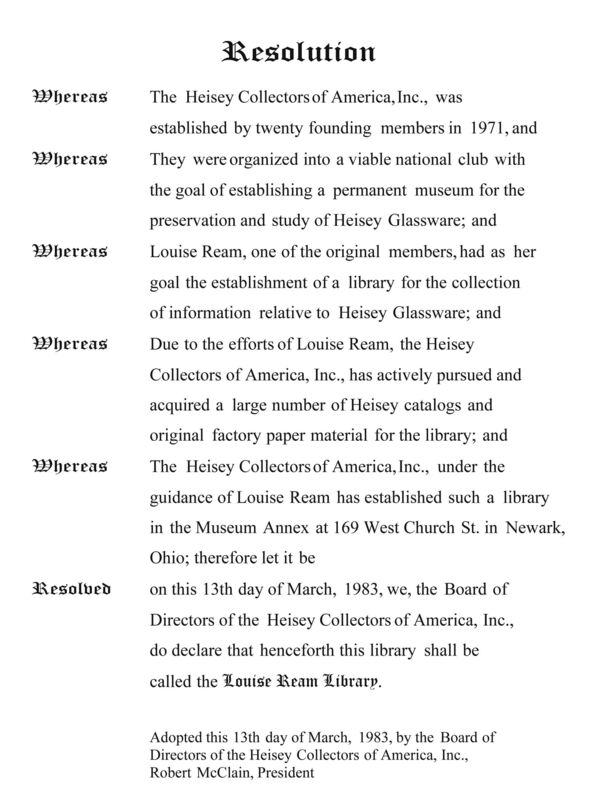 At the King House dedication in June 1975, she welcomed the public to the new National Heisey Glass Museum. The Louise Ream Library has been housed on the 2nd floor of the administration building for many years. In 2013, and following a year of renovation, it was returned to its original place on the 1st floor of the administration building. Now easily accessible, it is frequently used for research and study, meetings, and relaxing. 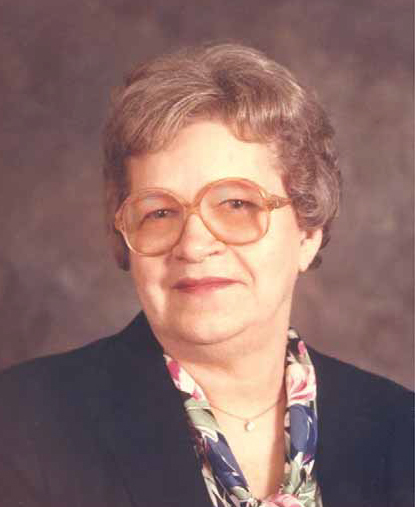 HCA, and Heisey lovers everywhere, owe Louise a great debt of gratitude for her vision and guidance. Louise officially retired in 1990 at age 75. Louise died on October 1, 2002 at age 87.